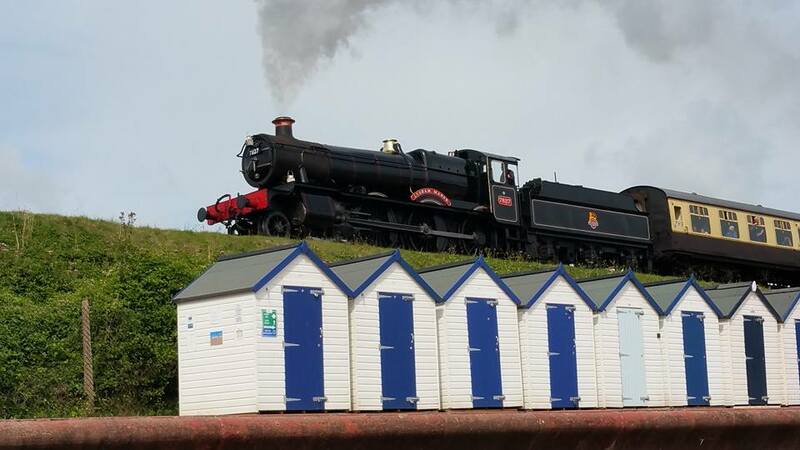 This is a perfect bucket and spade beach, it has something for everyone and that includes our 4 legged friends and just 4 mile from Widend Touring and Camping Park. Be sure to pop in and collect an attraction passport it has money off vouchers for lots of places. The beach is a golden sand bay with clear blue water and safe swimming conditions it has a few rocks at each end and rock pooling is a must when the tide goes out and it has a great spot for crabbing. 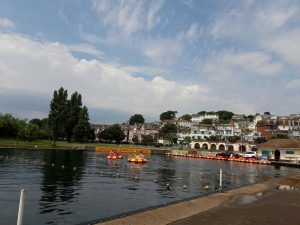 You can hire pedalo’s, paddle boats and theres even windsurfing for beginners. Beach wheelchairs are also available for daily hire as well as Deckchairs. 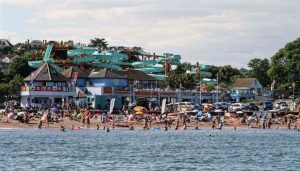 Toilets and cafe facilities are available at both ends of the beach and has a promenade that is lined with the traditional beach huts. Half way along is the famous and well liked attraction quay west water park which is a great day out for the family. A little further there are shops, arcades, first aid hut and a pub which does food. It also has a large outdoor seating area so you can enjoy a drink or meal in the fresh air. The furthest part of the beach is the dog friendly section and when the tide is out is quite an expanse of sand. so you and four legged member of the family can have a run and play in the water. 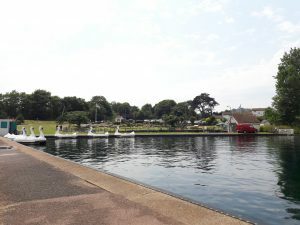 The green, has a boating lake with giant swans to hire out and there is also the Pirate’s Bay Adventure Golf. 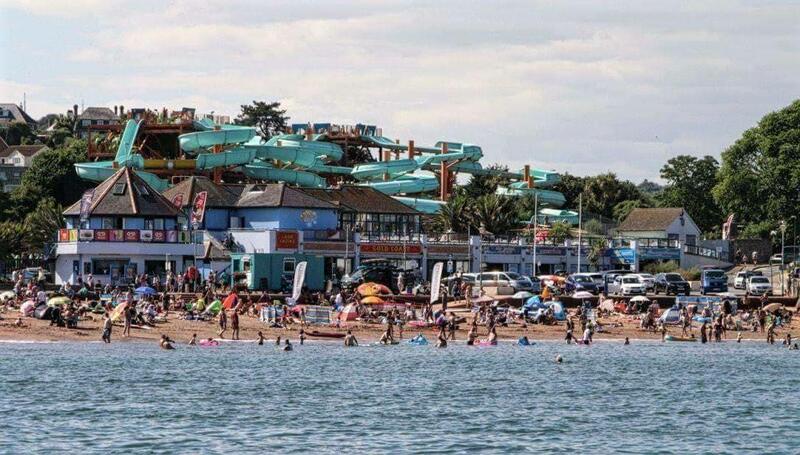 So you see there really is something for everyone at Goodrington Sands. line that runs between Paignton and Kingswear and it passes by Goodrington beach every day, be sure to give a friendly wave! 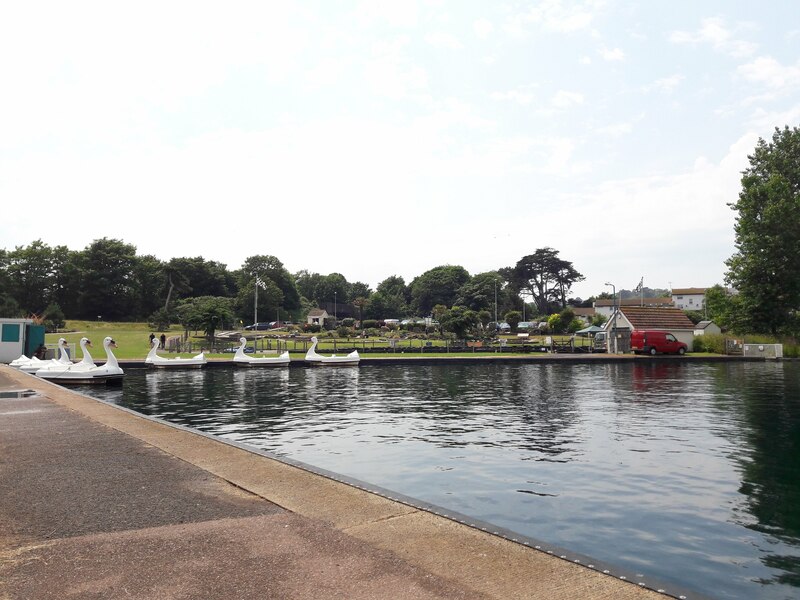 Book your touring caravan or camping holiday at Widend Touring Park and you will be in a perfect location to explore the beautiful English Riviera and beyond.